The Human Biology Building is a new 8,200 sq.m, 5-storey state-of-the-art building located in the heart of NUI Galway’s south campus close to University Hospital Galway. The building and its facilities will significantly extend the capacity for biomedical and research at NUI Galway. Home to the long-established disciplines of Anatomy, Physiology and Pharmacology & Therapeutics in a new co-located facility, the building has been designed as a joint teaching and research facility with accommodation including undergraduate teaching laboratories; specialist research laboratories; offices; open plan wrote up spaces; meeting rooms; seminar rooms and lecture theatres. It will enable the University to better deliver core pre-clinical curricula to Medical Health Science, Science, Biomedical Science and Engineering students; provide a purpose designed venue for discipline-specific training at undergraduate and postgraduate level and enhance learning and teaching within a research-led environment. The building has been developed on the site of the former National Diagnostics Laboratory building. It was designed by Scott Tallon Walker Architects, in conjunction with international design firm, Building Design Partnership, while BAM Building Ltd. were the contractor. This entry was posted in Events and tagged Official Opening on July 2, 2018 by stwarchitects. Cork City itself is the location of a variety Scott Tallon Walker Architects successful building projects in the commercial office, tourism, sport & entertainment, higher education, healthcare, science & technology and residential sectors. Scott Tallon Walker Architects have an office in Cork since 2004 and have been involved in notable projects such as the Lapp’s Quay Hotel & Office Development, St Patrick’s Place, Enterprise Ireland Webworks Innovation Centre, University College Cork Tyndall Institute and Spike Island. Recent urban regeneration projects include the Brewery Quarter Masterplan which includes student housing and an Arena. 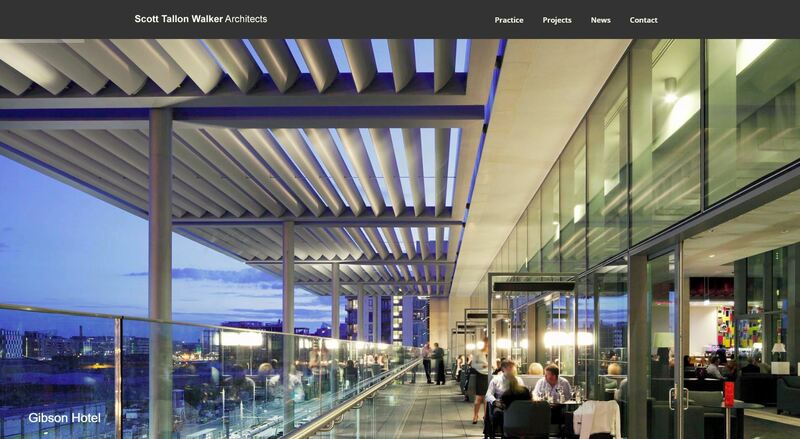 David Flannery is a Director of Scott Tallon Walker Architects. Following extensive experience in Dublin’s docklands regeneration, he established the Cork office of STW in 2004 and has gone on to demonstrate the urban design and tourism potential of Cork Harbour, one of the world’s largest natural harbours, through the masterplanning of both Cobh Waterfront and Spike Island, a former military fortification at its centre. As well as large-scale dockland projects and campus design for some of the city’s major employers, he demonstrates the ability to design thoroughly modern buildings which respect and activate their context within the historic city core. He is currently spearheading the masterplan for the regeneration of a former 18th century brewery built on the original medieval Hiberno Viking settlement of the city, into a vibrant mixed-use precinct of student residences, employment, cultural and entertainment buildings that will also deliver a wealth of new public realm such as two new pedestrian bridges, a new public riverside quay, reinstated medieval laneways, a new public square and the eagerly anticipated Cork Events Centre, all within the main meander of the south channel of the River Lee. David is an active academician since 2014. Philip Jackson is an Architect and Planner with Scott Tallon Walker Architects in Dublin. His work ranges from small-scale urban infill to large-scale urban masterplans. He is also Chair of the RIAI Urban Design Committee, which is developing the ‘RIAI Town and Village Toolkit’. A key component of the Toolkit is designing for ‘Health and happiness’. This entry was posted in Events and tagged Cork, Urbanism on June 28, 2018 by stwarchitects. Michael Earley will be presenting at Autodesk University in London on Tuesday 19th June along with Chad Bedard of CampbellReith and Lewis Wenman of Bouygues UK. The presentation will discuss the development of UCLH’s (University College London Hospitals NHS Foundation Trust’s) new facility which will be home to one of only two NHS Centres for Proton Therapy, Europe’s largest centre for the treatment of blood disorders and surgery services. Both CampbellReith and Scott Tallon Walker have been involved on this project from the earliest days. As the project has matured, so has the BIM environment and consequently the client BIM requirements. From the beginning this has been an ambitious BIM project, attempting to have a fully coordinated building with models from MEP, Structure, Architecture, Facade manufacturer, Drainage, Specialist Proton therapy equipment supplier, Contractor, and more. There have been many challenges along the way, but in working together as a team we have addressed them to deliver the client’s brief. We will discuss the Architectural and Structural challenges we have faced in modelling and coordinating amongst disciplines and how we have used Revit and Navisworks to overcome these. The panel of speakers will discuss the data outputs and how we have addressed the developing client brief to ensure we are delivering client requirements without impacting on deliverables or coordination. This entry was posted in Events on June 1, 2018 by stwarchitects. As part of the Digital Transition Series organised by CITA, Michael Earley and Liam Farrelly from Scott Tallon Walker Architects will be presenting on BIM in Education using the Trinity College Business School as a case study. The presentation will be opened by David Browne, President RIAI and Barry Lowry, Government Chief Information Officer will speak about digital strategy and the National BIM Council Roadmap. Date: Thursday 1st March – 7:30am to 10:30am. Venue: Royal College of Physicians, No. 6 Kildare Street Dublin 2. Since its foundation four centuries ago, Trinity College Dublin has held rank as one of the world’s great universities. It is ranked 88th in the world, 22nd in Europe, combining advanced research and scholarship with an educational environment that values the whole student experience. BIM to be used for client “virtual walk through” at various stages of design. It was exciting to see that Trinity College Dublin were taking a lead by procuring a project to Level 2 BIM standards. Like the aspirations for the development of the new Business School, the advancement of technology and new processes to manage design brought challenges which required strategy and careful management. The design team combined a knowledge of BIM software systems from graduates, BIM management skills gained from working on projects in the UK during the lean years and the experience of project architects and engineers who have been involved in similar projects. Trinity Business School is being located on a 0.518 ha site approximately, within the campus of Trinity College Dublin, Dublin 2. The site is principally bounded by Pearse Street to the north; the existing railway line to the east; existing structures on Pearse Street to the west and the Trinity College campus to the south. The site also includes Nos. 183-188 Pearse Street (incl. ), which are Protected Structures, which will be refurbished as a cafe and student accommodation with related ancillary uses. The development includes the demolition of the existing Sports Hall (Luce Hall) previously designed by Scott Tallon Walker Architects in the 1970s, the maintenance workshops and first floor WCs to the rear of Nos. 183-188 Pearse Street. The development consists of a business school; innovation and entrepreneurship hub; auditorium; cafe and student accommodation with ancillary administration, staff and student uses. The proposed new building comprises six floors of lecture/office accommodation over two basement levels linked to Nos. 183-188 Pearse Street. The development also includes the refurbishment, including internal revisions, of Nos. 183-188 Pearse Street, which will be extended at the rear ground floor level to provide cafe use with student accommodation at first and second floor levels. Entrances from Pearse Street and the campus are at ground floor level and give access to an atrium space which includes an Exhibition Area, access to a lecture theatre, access to the upper level of the 600-person auditorium, general circulation and informal meeting and gathering space. Stairs and passenger lifts give access to all lower and upper floors. The 600 seat Auditorium can accommodate both large and small audiences for events such as the welcoming of new students, major award ceremonies, lectures, graduation events and conference plenary sessions. It is capable of being used in a number of modes: entirely flat floor, raked and flat floor, or subdivided into two separate 300 seat spaces, one raked and one flat. In February 2014, Scott Tallon Walker, Arup and IN2 prepared a specification for procurement of a survey which included a Point Cloud Survey for the protected structures, and the adjacent buildings. The document set-out very prescriptive requirements for the information to be delivered which included a Full cartographical two dimensional (2D) topographical survey, Point Cloud Survey and Revit models to varying levels of detail. The contextual Revit models Coastway Surveys who were the successful bidder have been very useful for such as constrained and historic site. A Planning Application was submitted in June 2015 and permission was granted in September 2015. Fire Safety Certificate and Disability Access Certificate applications were lodged in in September 2015. In January 2016, Turner & Townsend prepared the construction tender documentation which included documentation from Trinity College Dublin and the Design Team. Included with this tender documentation were comprehensive and updated Employers Information Requirements (EIR) and Supply Chain Capability Summary (SCCS) documents, prepared by TCD’s BIM Manager, and an Asset Information Requirements (AIR) document provided by Scott Tallon Walker and agreed with TCD which captured the requirements for all asset information in the model to be provided by the contracting team. Tender documents for the main contract and separate Mechanical & Electrical contracts were issued in March 2016. As this was TCD’s first Level 2 maturity Building Information Model (BIM) capital project, the EIR and AIR documents were composed with the vision of utilising these on all future capital projects which would be procured using Level 2 BIM. The assessment of BIM Execution Plans (BEPs) was undertaken by TCD’s BIM Manager. Enabling works which included civil works and a temporary electrical substation was awarded to BAM. JJ Rhatigan and Company were awarded the main contract to construct the Business School in June 2016. T Bourke and Company were awarded the Mechanical Contract with the Designer Group being successful with the Electrical Contract. Contract / Delivery Type: Irish Government Public Works Contract – PWC-CF1 v2.0 Jan 2016. This entry was posted in BIM, Events, Uncategorized and tagged BIM, Events on February 23, 2018 by stwarchitects.